We love spaces that make you feel good. 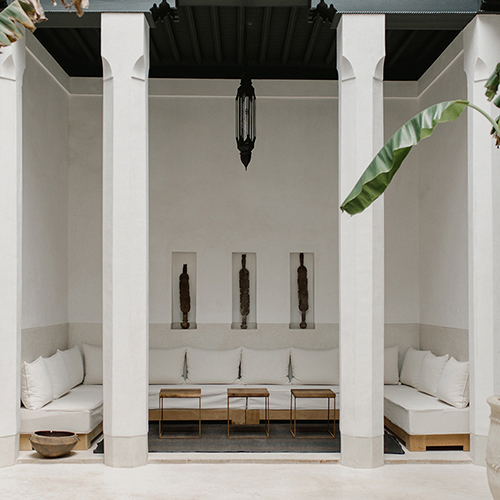 Whether it be a private estate in the South of Provence, a bungalow tucked in the jungle canopy, or a converted boat shed only steps from the sea - we've got you covered. Our goal is to create a collection of spaces that make you feel good. 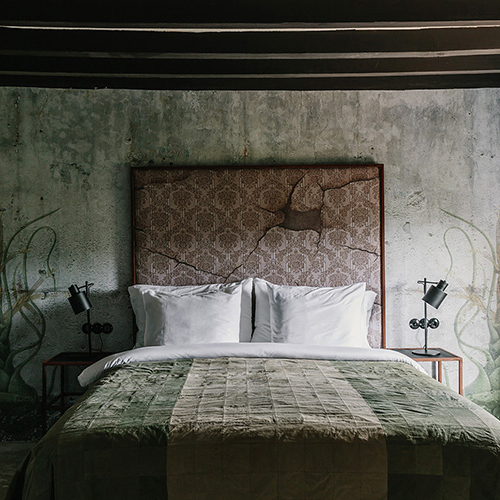 We love GOOD DESIGN - call it feng shui or wabi sabi - we know the affect a beautiful space can have on one's psychological well-being. 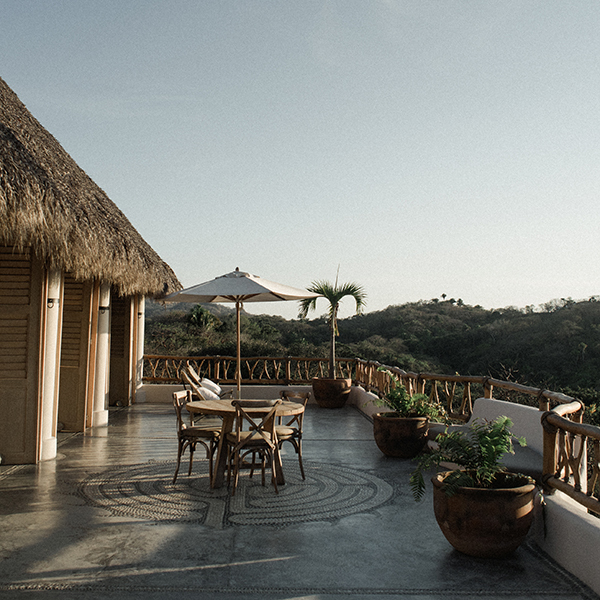 The properties we feature are more about meaningful experiences, intentional travel and connecting with yourself and those around you. Chances are, if you love one, you will love them all. Life is short, spend it somewhere you feel good. 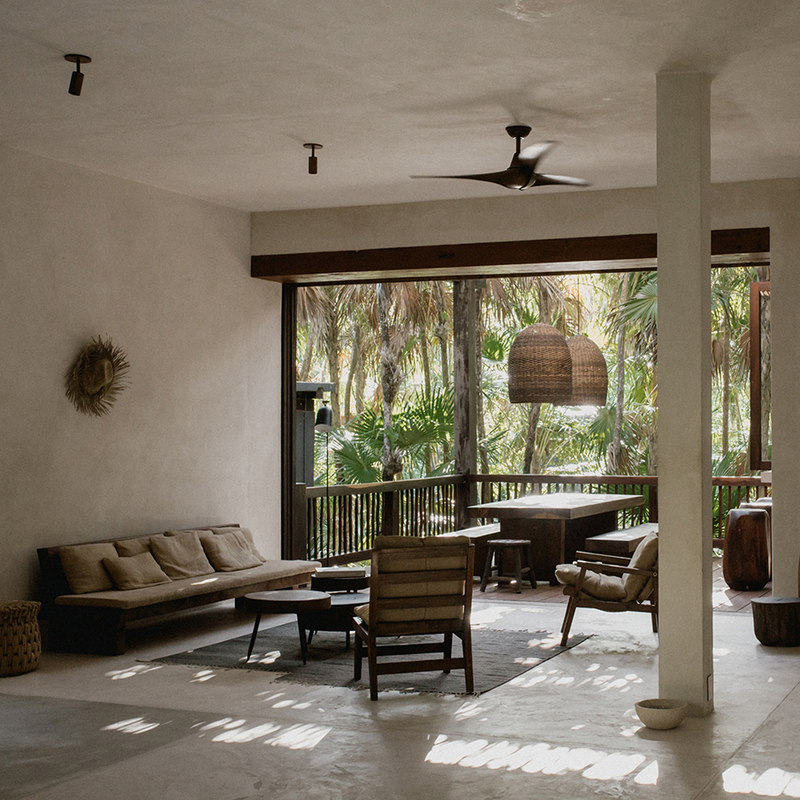 SIGN ME UP // I WANT TO KNOW ABOUT NEW HIDEAWAYS AND OTHER COOL STUFF! 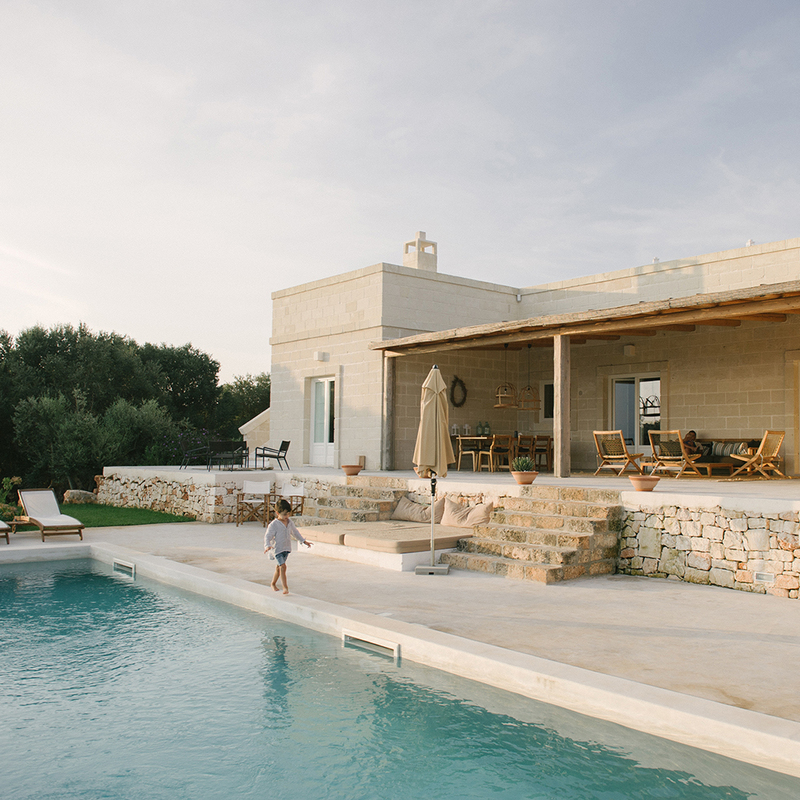 With its minimalist style and modern lines, Masseria Moroseta raises the bar for stunning design in Puglia. Read the article here. From luxury villas to desert prefabs, check out this list of design homes that you can book for your next dream vacation! Read the article here. Fitness is a family motto of ours. Here are some tips to help you enjoy your vacation yet still fit into your clothes when you return! Read the article here. Having an infant has not stopped us from traveling and we've learned a lot of great tips along the way. Here are some things to help make flying with your little one a breeze! Read the article here.